A new study claims that an entirely new species of bird has arisen in the Galapagos, provide scientists vital clues on evolution itself. 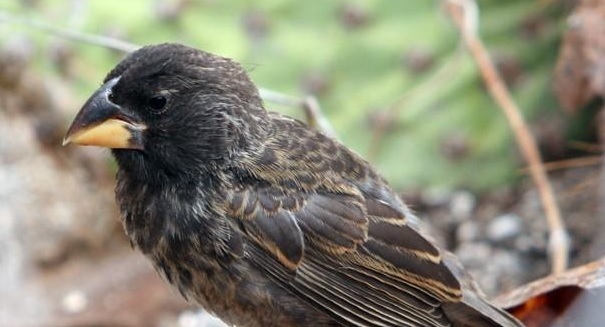 Nearly four decades ago, an odd bird arrived in the Galapagos archipelago, and now scientists think it provides them with direct genetic evidence of how a new species comes to be. The findings, detailed in the journal Science by researchers at Princeton University and Uppsala University, show that this new bird mated with a member of another species that was native to an island and appears to have given risen to a new species with about 30 individuals. It’s a study similar to the famous conducted by Charles Darwin on the finches of the Galapagos, which resulted in the theory of evolution. Because the Galapagos is so remote, it is an evolutionary Petri dish that provides scientists an ideal place to study evolution. This discovery allows scientists to actually document the creation of a new species in the wild. The parent of this new species was first spotted back in 1981, when a graduate students noticed a male with an unusual song and a larger body and beak size than three resident species of birds.